As temperatures get lower more and more people, start to have health problems. This is natural and its due to the changing weather conditions and the time that the human body needs to adapt to them. 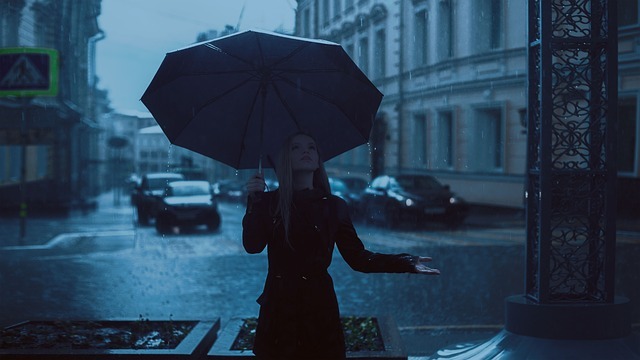 Living in London during the autumn months means that you are exposed to very unpleasant weather – constant rains, cold winds, high humidity levels. The only sanctuary you have is your own home, and it is the place you spend most of your free time. However, if you don’t clean your house regularly and you skip on the big autumn cleaning you might be living in not so healthy conditions. Closed windows, central heating and dirty air vent filters interrupt and reduce the ventilation in the home. The air becomes more still and heavy. This is heaven for various fungi and bacteria. The difference in the outside and the inside temperature creates condensation on the windows. This might lead to the damaging of your walls and window frames as well as to the development of mould and mildew. The more rain falls outside, the muddier the inside of your house will be. You cant wash your curtains or carets at home during the cold months which means they will be the perfect place where dust will collect. The conditions that we described don’t sound life-threatening however they are actually quite hazardous. Bad ventilation and high humidity can cause different pulmonary illnesses and heart problems. Asthma is easily triggered by dust and mould. The different skin irritations and allergies that can be caused by mould and mildew are also something that you need to protect yourself from. When it is constantly raining outside bacteria spread easily and you can transfer it effortlessly to your home. The water condensation on your windows and walls can not only damage your house’s interior but also your health. Follow this simple but effective cleaning advice, and you will manage to protect your health in perfect condition throughout the cold months. Windows. Make sure to clean your window frames from all the black spots/mould. You can clean the glass surface with an anti-freezing liquid made for car windows. This way your windows won’t get frosty and it will reduce the condensation. Dehumidifier. Buy either a room dehumidifier or a portable one. It will reduce the humidity levels in the house. Steam clean your curtains. Thankfully this remarkable cleaning service can be performed on the spot, so you don’t need to put your drapes down. It will disinfect the fabric and remove all the dust and particles embedded in it. Steam cleaning is an important step of your autumn deep-cleansing. In the cold months, people are more lethargic and skip on a lot of cleaning duties. That is why in autumn you must properly clean your furniture. Clean the upholstery, the cushions and especially underneath all heavy items. Clean the filters of all air-conditioners and air vents. Vacuum the filters and then clean them with a moist cloth. Organise a big dusting party amongst the members of your family and dust every inch of the house. Use damp cloths and the proper vacuum attachments. Avoid feather dusters as they only spread the particles and don’t actually collect them. Defrost your fridge and clean it. You can use a DIY cleaner made from water, lemon juice and baking soda to clean it inside and out. After that clean all of your kitchen cupboard from all expired products and food stains. When cleaning mould spots remember to always use protection and avoid direct skin contact with the infected surface. Clean your gutters and drains from leaves, dust and mud. This will save you a lot of headaches in the near future. Consider steam cleaning your wooden floors and the tiles in your toilet. It will be much faster and easier than using a mop and a bucket. However, if you still decide to use them, remember to use a cloth to dry your floors afterwards, as damp surfaces tend to dry slower in the cold. Regulate your home heaters and try not to go overboard with the warm temperatures inside. Try keeping the room temperature around 24°C and the humidity levels 35-40%.